YouTube and Tidal to release original programming | What Hi-Fi? YouTube is to launch four new series as part of its YouTube Red subscription service in the USA, while Tidal will offer one drama series and one comedy series. YouTube has announced via its official blog that it will launch four new original series on its YouTube Red subscription platform. The new content, which will be available from 10th February, includes three feature-length films: A Trip to Unicorn Island; Dance Camp and Lazer Team, and a reality adventure series called Scare PewDiePie. Starring one of YouTube’s biggest stars, the show will see him “encounter terrifying situations inspired by his favourite video games”. According to YouTube, these new shows are “just the beginning”, and more programmes featuring other high profile users are in the pipeline. The shows will also be available to buy through YouTube and Google Play for anyone who can’t access YouTube Red. 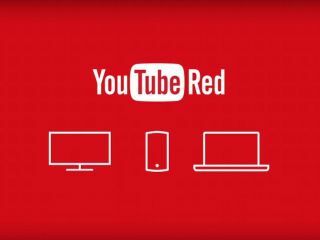 YouTube Red is currently only available in the USA, but a recent deal with PRS for Music could see the service come to the UK later this year. Tidal meanwhile has ordered two new series, including season two of Brooklyn street-life drama Money & Violence, which will reportedly be available on 9th February, and No Small Talk, a show profiling up-and-coming comedians. Tidal already offers season one of Money & Violence on its service for its subscribers. It seems music catalogues aren’t enough to entice subscribers now, with Netflix and Amazon proving original programming can be successful, music streaming services are following suit. Spotify has recently announced it has begun rolling out video content to all users of its service.